After having a healthy breakfast in the hotel, check-out and proceed towards your onward destination Mandawa by car. Upon arrival check-in the assigned hotel in Mandwa. Overnight stay in Mandawa. After having a breakfast in the hotel, check-out and explore Forts, monuments, palaces and temples, also visit Deshnok and Bhanda Sagar Jain temple and the famous museum Lallgarh Palace. Later on start long journey for Jaisalmer. After arriving at Jaisalmer, check in at the assigned hotel. Overnight stay in Jaisalmer. After having a breakfast in the hotel, check-out and drive for the most amazing tourist attraction of the Thar Desert – Manwar. Here, you will be staying at camp that has facilities that are similar to hotel. 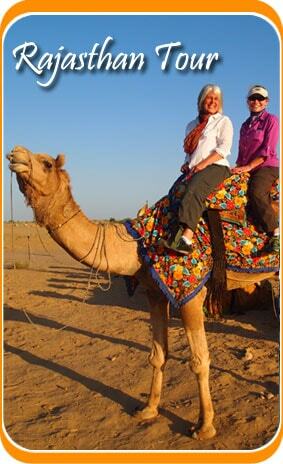 Enjoy camel safari in evening, local folk dance and bonfire. overnight stay in Manwar tented accommodation. After having a healthy breakfast in the hotel, check-out drive to Jodhpur which was once the capital of Marwar state. Upon arrival in Jodhpur and check in the assigned hotel. Later on city sightseeing visiting Mehrangarh Fort at 120 metres high with huge massive and elegant structure. Jaswant Thada, it was the cremation ground for the royal rulers. Also visit Umaid Bhawan Palace which is now converted into a luxury hotel. Evening explore the market street of Jodhpur. Back to the hotel & overnight stay in Jodhpur. After having a breakfast in the hotel, check-out drive for Rohetgarh. It is one of the most arid regions of Rajasthan. Check in at the hotel and after relaxing explore the village and know about their traditions and cultures. You can enjoy jeep and Horse Safaris here. Return to the hotel and overnight stay in Rohetgarh. After having a breakfast in the hotel, check-out drive for Udaipur, the Lake City of India. Visit Ranakpur Jain temples on your way. Check in at the hotel after arriving at the hotel. Spend rest of the day at leisure and overnight stay in Udaipur. After having a breakfast in the hotel, drive for Pushkar. It is the place where one of the largest cattle fair of the country is organized every year. Upon arrival check-in the assigned hotel in Pushkar. Overnight stay in Pushkar. After having a breakfast in the hotel, visit Pushkar and Ajmer Sharif en-route. These two places are known for religious significance, as Ajmer is known for Dargah Sharif & Pushkar is famous for the Brahma Temple & Pushkar Lake. Later on continue drive to Jaipur, upon arrival check-in the assigned hotel in Jaipur. Overnight stay in Jaipur. After having a breakfast in the hotel, drive to the city of Taj Mahal, Agra en route visiting the Fatehpur Sikri. It is considered as the best architectural achievement of the Mughal Emperor Hamida banu begum. There are many buildings of interest at Fatehpur Sikri. Jodha Bai Palace is complete in its design, and its carved decoration resembles that of the Hindu Temple architecture. The Diwane-Am and Diwane -Khas are notable for their layout. 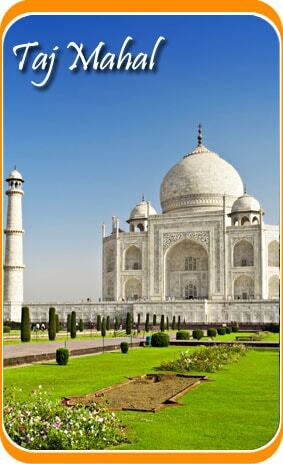 Later continue drive to Agra, upon arrival check-in the assigned hotel in Agra. Overnight stay in Agra. Early morning visit Taj Mahal at the time of Sun rise, which was built by Shah Jehan the great builder of Mughal emperor in the memory of his beloved wife Mumtaj. It took 22 years to complete this monument. Later visit Agra Fort built on the bank of the river Yamuna. Back to the hotel and check out after breakfast. Upon arrival check-in the assigned hotel in Delhi. Overnight stay in Delhi. After having a breakfast in the hotel, check out & our company representative will assist you to transfer to the Delhi international airport to board onward schedule flight.